HomeCinemaMasalaFawad Khan Is Insecure Of Mahira Khan? Fawad Khan Is Insecure Of Mahira Khan? After creating lots of fan following through the most mesmerizing performances in ‘Humsafar’, what if both the co-stars will be seen together? The king of hearts, Pakistani top Actor Fawad Khan is one of the highest paid actors in Pakistan. He has immense fan following and has drop dead gorgeous personality for one can die for. He is sitting on a mountain of successful dramas and has worked with all the top actors of the drama industry. Recently he also played a lead role in the remake of movie Armaan opposite actress/model Amina Shiekh. 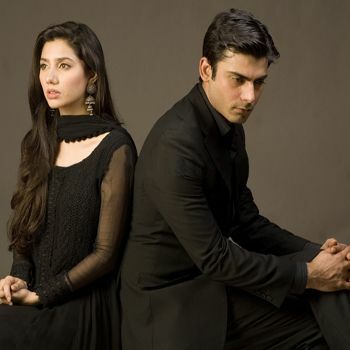 The rising superstar Fawad Khan, who is taking no chance after his drama ‘Numm’ failed to create much ripples, has reportedly turned down a drama offer with Mahira Khan. The lady with whom he made his first blockbuster and was also awarded as the best couple on screen. Isn’t it strange? The sources and newspaper says that Fawad don’t want to work with Mahira Khan and rejected many offers opposite Mahira intentionally. Ali Rahman is casted opposite Mahira Khan in her upcoming drama “Mol”. The ‘Humsafar’ fame seems to be taking Fawad Khan’s steps to the ladder of accomplishment very cautiously, as he doesn’t want to repeat another ‘Numm’ act. Fawad Khan apparently has rejected a role in Drama project “Mol”, maybe he doesn’t want Mahira Khan to outshine his stardom. Which Workout Burns the Most Calories? Lotto 6/49: Finally a winner!